Gift vouchers are valid for 12 months from date of issue. Unused values will not be refunded or attributed to any transactions after the expiry date. 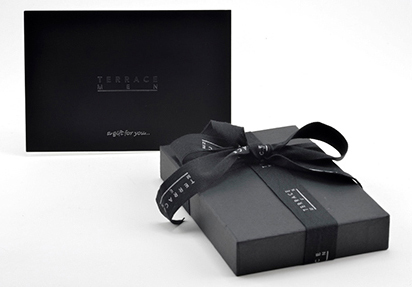 Gift vouchers can be redeemed against all products only at Terrace Men stores. Gift vouchers cannot be redeemed for cash, returned for a refund, have their balances consolidated to a new voucher or be replaced after expiry and are not legal tender, account cards, credit or debit cards or securities. If your purchase exceeds the value of the gift voucher, balance must be paid by cash, debit or credit card. If you return any products you have purchased using a gift voucher, the balance will be credited to you as a credit note and is to be redeemed against subsequent purchases. Gift vouchers cannot be replaced if lost or stolen. If you suspect an unauthorised activity, immediately report this to Terrace Men Head Office (08) 9430 4140 or email sales@terrcaemen.com providing all details including proof of purchase, gift voucher number and a photo ID for verification purposes. Terrace Men reserves the right to cancel a gift voucher if we deem such action necessary. If so, we may either provide a replacement gift voucher of equivalent value unless we suspect fraud in relation to a gift voucher. The gift voucher remains our property. Gift vouchers can be purchased in store or online all gift vouchers will come gift boxed . On line purchase can be posted out within Australia for a cost of $ 10.00 AUD.